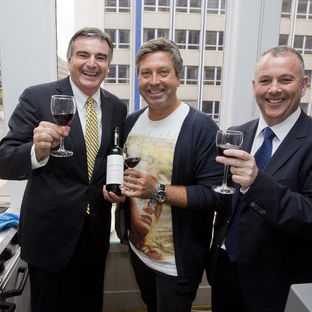 On Monday 9th June in Robinson & Cleaver Belfast, the Wizards of Oz, Australia’s celebrity chef John Torode and IWSC International Winemaker Neil McGuigan, joined forces to demonstrate a culinary masterclass of pairing fine wine and food. Lunch saw around 100 of the industry’s trade members treated to a canapé lunch each course paired with a McGuigan sparkling, white and red wine. The evening event then treated 20 lucky competition winners to a sit down 3 course meal prepared by John and the wine paired by Neil.